Not all of us might have wondered if our dental hygiene is indeed the best. 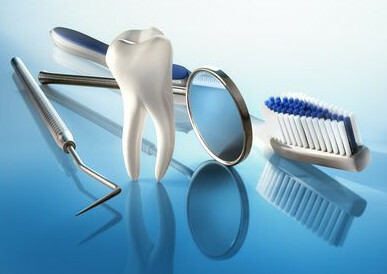 However, it is important to know that teeth, as well as other parts of your body, need to be taken care of each day. There are also a set of rules and advice you can follow in order to avoid having dental issues and visiting your dentist regularly. How many times per day do we need to brush? The majority brushes their teeth two times per day, that is in the morning and evening, thinking that it is the best way that they can get rid of bacteria and keep their teeth healthy. Actually, this activity done twice per day is a basic element for oral hygiene. Use a fluoride toothpaste and do it the right way, following the advice of the dentist concerning the movements to be made while brushing: Make sure also to brush your tongue with the special designed part of your toothbrush. Another advice regarding brushing is to regularly change the toothpaste you are using. Is it necessary to floss? Yes. In order to remove the food that will stick in between your teeth, you need to floss. The motion is back and forth, however, you should take care at the gumline and also to clean the backsides of your teeth. The floss should form a C-shape around your teeth. First of all, sweets and candies of all sorts are a great danger to your teeth health, so try avoiding eating too many. Avoid as much as possible products with a lot of sugar. Fruits, nuts and seeds are also dangerous for your teeth, as they stick to your teeth and can hurt your gums. Also, be aware of the temperature of your food, and try not to eat food that is too cold or too hot, make sure it is at the room temperature as much as possible. It is crucial to visit the dentist at least twice a year, in order to prevent any caries and also have a check-up and see the state of teeth. You can also try some dental cleaning once in a while. Mouthwashes are also a great way of cleaning your teeth, especially if you are in a hurry. It freshens your breath and it’s a supplier of fluoride. You should better ask for recommendations regarding the products you can use at the dentist. I hope that the advice given above has proven useful, and that you will not neglect your daily oral hygiene, because it is part of our essential “kit” for daily cleaning.